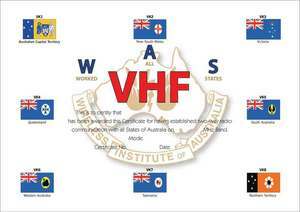 Encourages using VHF to work all Australian states and two territories. (VK1-VK8). Available for working at least one station in each state and mainland territory. 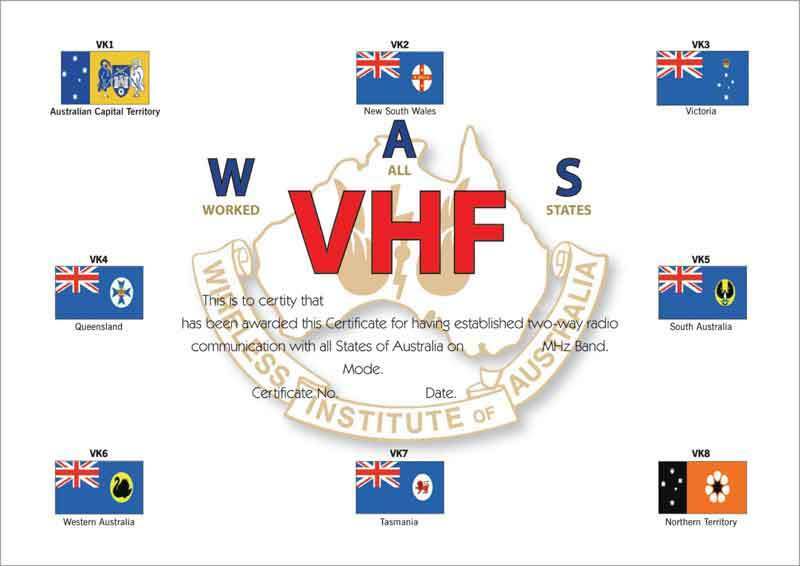 Requires 8 VHF QSO’s for this award, all 50 Mhz and above. All contacts must be from the same location. 1 contact from each call area. (special prefixes AX and VI also qualify) General rules apply.